Your chance to win a house in Italy! 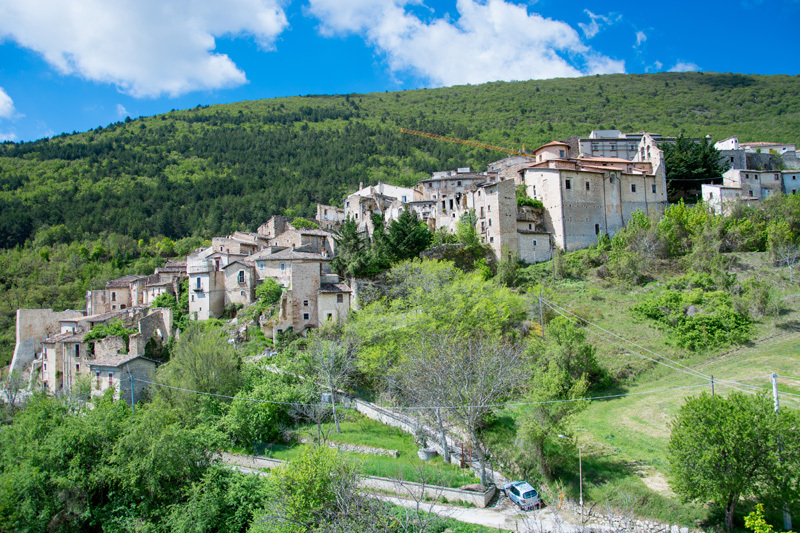 Win a three storey south facing stone house with a sunny garden on the edge of Carapelle Calvisio, a beautiful medieval village in Abruzzo’s Gran Sasso national park. All tickets have now been SOLD! Thank you so much for participating, the draw has had a breathtaking response and we are humbled and grateful to all who have taken part. We have had so many messages of joy, hope and dreams, and we really feel that every one of you is part of this amazing experience. We are now processing all the entries and setting the wheels in motion for doing the actual draw. The draw was supposed to be in October, but with the overwhelming success of ticket sales, and the fact that we sold out already, we are moving the draw date forward. The date of the draw will be Saturday 29 June 2019 and it will take place in the UK, somewhere near London. We have 20 places available for ticket holders if you would like to join us, so please get in touch if you are interested… first come, first served, but we will also be streaming it LIVE. Details to follow nearer the time. Everyone who bought a ticket will get a ticket number via email before the draw (if you bought two tickets, you will get two numbers, and so on…). If you haven’t received yours by the beginning of June, please get in touch. The ticket numbers will go into a random number generator so we have no influence as to the winning ticket, and this will be overseen by an independent official on the day. When the random number is chosen, this will be cross referenced to the ticket number to reveal the winner. Hooray! Please continue to follow the Facebook @winahouseinitaly and Instagram @your_italian_house feeds for regular updates on the house, area and the build up to the draw. There has been such a huge amount of interest in the draw, we are thinking of putting together a new one to win another beautiful house in Italy. If you would like to be kept informed of the next raffle, please fill in your details on the ‘Enter Draw’ page. The village and its surroundings are very calm, perfect for those who want to experience something different than crowded tourist places. Also great for those who like to hike! Such a beautiful house on the edge of a pretty village in in extraordinarily scenic part of Italy. 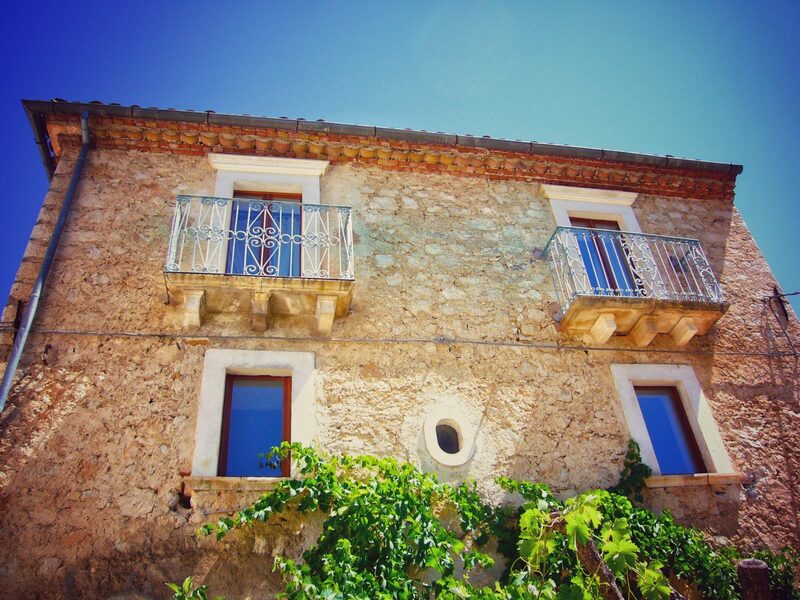 Abruzzo is a beautiful part of Italy with generous, friendly people. I have been going back for over 10 years and enjoy every moment I am there. Carapelle Calvisio is a very pretty little hilltop village that’s tucked away at the edge of the Gran Sasso National Park in the province of L’Aquila, part of Abruzzo. It sits at 850 meters above sea level and is surrounded by beautiful wooded rolling hillsides with the high mountains in the distance. The summers are long and hot but not oppressive. Because of the altitude the air stays dry and doesn’t suffer from the humidity of the coastal regions. The winters are relatively short with little snowfall in the village, clear crisp days with views to the snow capped mountains all around and, again because of the altitude, dry fresh air. The area is relatively untouched by tourism and there is still an element of exploration and discovery when you go out. Roman ruins are free to wander around, wild horses gallop across the high plains and you can always find a seat in the local restaurants. The local food is exceptionally good and you’ll never have a bad meal. Truffles and saffron are the key specialities, but there are a huge array of dishes on offer. The wine is also fantastic as Montepulciano d’Abruzzo is the local grape. The house offers an excellent base from which to travel further afield, too. Pescara on the coast is a short drive for beach days, Popoli and Sulmona have wonderful markets and are steeped in ancient history, and then Rome is perfect for a day trip. The photos below are from our Instagram feed @your_italian_house. Follow us for regular updates and photos from the area. Entering the competition is easy! Fill in the entry form with all your details, remembering to answer the question, then pay your £50 entry fee. Fill in the entry form with your details. The question must be answered to complete your entry. You’ll find the answer on the site. Choose from two payment methods: online with your card or directly via your bank. We will email you to confirm receipt of your entry. When all of the tickets have been sold, each ticket will be randomly allocated a number, and then the notary who will be responsible for signing the house across to the winner will make the draw. The lucky winner will be notified of the good news straight away!